The American Diabetes Association (ADA) is the nation's leading nonprofit health organization providing diabetes research, information, and advocacy for all types of diabetes. A gift from the Pfau Foundation will support their Camp Korelitz where campers enjoy meeting other children with diabetes and spending time outdoors while participating in swimming, canoeing, arts and crafts, ropes courses, climbing walls, back riding, archery, and nutrition and diabetes education games and discussions. Big Brothers/Big Sisters Association (BBBS) of Cincinnati promotes the development of youth through quality mentoring relationships. They help children reach their potential by providing them with caring, adult role models who guide them in making positive choices about their future. BBBS Cincinnati has been serving the children and families of Cincinnati for nearly 100 years. A gift from the Pfau Foundation will support its Community Based Mentoring Program, allowing BBBS to serve almost 800 children in that program alone. Since 1996, the Boys & Girls Clubs of Clermont County have been dedicated to providing quality youth programs and services that will enhance the lives and shape the futures of youth of all backgrounds. Working with over 2000 children annually, the Club continues to strive to meet the ever-growing needs of these young people. A gift from the Pfau Foundation will support their Teen Center Program. Campbell Lodge Boys' Home is a year-round residential facility for pre-adolescent and adolescent boys aged ten to eighteen. Services are structured to address the needs of residents by offering a treatment program that includes a balanced blend of counseling and therapy, the teaching of social skills, and milieu-based opportunities for the enhancement of academic skills. A gift from the Pfau Foundation will support their Equine Assisted Counseling Program. Cininnati Youth Collaborative (CYC) makes a significant difference in the lives of young people in grades 3 through 12 by providing mentoring and college readiness services. They serve as a catalyst, bringing together over 1,700 volunteers and 100 local businesses and organizations to help young people graduate from high school and successfully make the leap forward into postsecondary education or rewarding employment. A gift from the Pfau Foundation will support their girls clubs. A gift from the Pfau Foundation will support Camp Koinonia whose primary purpose is to provide a meaningful, experiential, learning opportunity for university students while involving children and young adult - some with severe disabilities. The program was relocated to the University of Tennessee in 1986 and has become a part of East Tennessee culture. To date, this program is the only one of its kind in the nation. Fernside is a non-profit organization offering support and advocacy to grieving families who have experienced a death. They offer peer support for grieving children, teens and adults. Fernside works to increase community awareness of grief issues through community outreach. A gift from the Pfau Foundation will support their evening and in-school grief support groups. Elementz, through the values of Hip Hop culture, engages and inspires underserved youth, unleashing creativity and respect through performance, community development, and leadership. A gift from the Pfau Foundation will support their Teen-Focused Arts Intervention Program. The Freestore Foodbank distributes over 12 million pounds of food annually. In 20 counties in Ohio, Kentucky and Indiana, they have a trusted network of over 325 local member agencies that include soup kitchens and shelters, food pantries, churches, daycare and senior centers, and many other community and social services organizations. A gift from the Pfau Foundation will support their Power Pack Program expansion. Transitions, Inc. offers an array of services, providing substance abuse treatment to indigent alcoholics and addicts. A gift from the Pfau Foundation will support their Women's Residential Addiction Childcare Program. Central Clinic has been providing quality Behavioral Health and Forensic services for over 85 years to children, adults and families. A gift from the Pfau Foundation will support their Ready to Learn Program. Charles and Anna Taft established the Taft Museum of Art in 1932 when they bequeathed their home and collection of art to the people of Cincinnati. The Taft is known as one of the finest small art museums in America. A gift from the Pfau Foundation will help to support engagement of diverse audiences at the Taft Museum of Art. 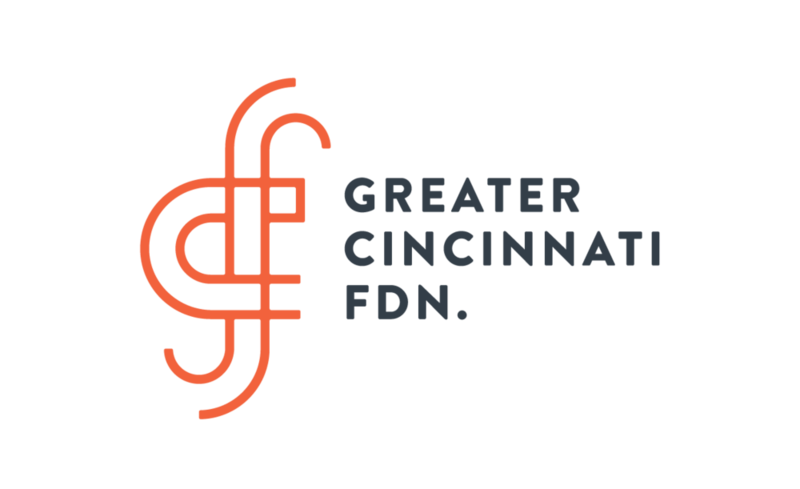 The Hearing Speech & Deaf Center of Greater Cincinnati strengthens the community by helping individuals and families to overcome obstacles to communication. A gift from the Pfau Foundation will support the Normal Speech and Language is Central to Success Program. Girl Scouts of Western Ohio serves approximately 55,000 girls in a 32-county area in western Ohio and southeast Indiana. More than 15,000 trained adult volunteers work to provide services and deliver the program to girls. Girl Scouts of Western Ohio is one of more than 100 councils that make up Girl Scouts of the USA - the largest voluntary organization for girls in the world. A gift from the Pfau Foundation will support the Girl Scouts During the School Day Program. Founded in 1920 and the second oldest opera company in the U.S., Cincinnati Opera presents a thrilling roster of world-class artists and conductors, important company debuts, stunning sets and costumes, and the spectacular Cincinnati Symphony Orchestra. Today the company is hailed as Cincinnati's "prime summer arts festival" attracting a passionate regional audience as well as opera tourists from throughout the U.S. and Canada. A gift from the Pfau Foundation will support This Little Light of Mine Performance Series. Hamilton County Special Olympics strives to provide year-round sports, training, and competition in a variety of sports for children and adults with mental and developmental disabilities in order to create continuing opportunities for them to develop physical fitness, demonstrate courage, experience the joy of achievement, be included in the community, build skills, and make friends. A gift from the Pfau Foundation will support their winter sports programs. East End Adult Education Center is a charitable organization, that strives to provide quality educational programs for the residents of the East End and surrounding areas, aimed at increasing students' basic literacy, academic, computer, and job skills. They turn no serious student away and their services are free. A gift from the Pfau Foundation will support their Literacy/GED Instruction Program. The Resident Home Corporation (RHC) is a non-profit corporation that provides residential, educational, family support and related services to children and adults with developmental disabilities. A gift from the Pfau Foundation will support their Partnership for Children Program. Stepping Stones Center works to fill gaps in services to children and adults with disabilities. That has been the hallmark of the agency since its inception as Greater Cincinnati's first summer camp for children with disabilities in 1963. A gift from the Pfau Foundation will support the Early Childhood Education Program. Incorporated in 1864, The Children's Home of Cincinnati is one of the area's oldest private nonprofit social service agencies focused on transforming the lives of vulnerable children facing social, behavioral, and learning challenges. A gift from the Pfau Foundation will support the home visitation component of the program in Price Hill. Therapeutic Recreation for the Disabled, Inc. Therapeutic Recreation for the Disable, Inc. exists to provide recreational opportunities to those with mental and/or physical disabilities. A gift from the Pfau Foundation will support the Butler County Field of Dreams/Miracle League Project. The YMCA was founded in 1844 in London, England and was established in downtown Cincinnati in 1853. By the end of the century, the YMCA established its purpose to build individuals through "spirit, mind, and body." A gift from the Pfau Foundation will support the Autism Family Nights Program. United Way improves lives by mobilizing the caring power of communities around the world to advance the common good. A gift from the Pfau Foundation will support their Social Innovation Fund.